Last edited by nu-supercrew; 11-24-2018 at 06:45 AM. Are you talking about the power on relay/remote turn on for the amp? If so, those are usually super low draw and it's intended for that. They sell tap/stab fuses that you can stick in do this. As far as powering the amp, usually you go + to battery, and - to the closest sanded off chassis part for ground. Although, I have wired + and - directly to the battery to chase noise/whine problems. I am assuming the amp/sub is turned on by the 'enable' at the head unit. I was going to tap off the radio fuse position on the fuse block to power the sub. Last edited by nu-supercrew; 11-25-2018 at 09:15 PM. 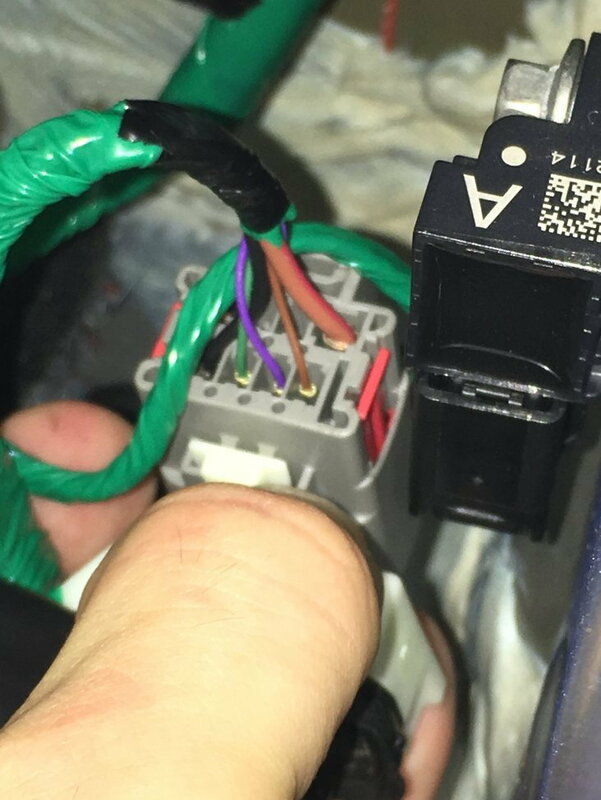 Is this for an aftermarket combo unit, or are you trying to install a Ford kit? Doing a little bit of research, not sure if this will help. It appears as if there is already a line that goes back there. However, some folks say it needs to be activated with Forscan, and some don't. I'm sure with enough persistence, you'll either be able to do it "more" factory, or else just do it outright aftermarket, and use line out converters and crop it right into the blue to turn it on. Then run small gauge cable to the battery. Either way, you should be able to get it to work. Just takes some work. There is a plug hidden behind the trim for the left rear seat belt. Leave it up to you to find that 2015 info! I am acquiring the items to install the sub and also upgrade to a sync3 lite to be able to run apple car play. Thanks again for this ! Last edited by nu-supercrew; 11-26-2018 at 07:10 AM. That's the adventure of installing systems into these newer vehicles. I prefer going the route you are taking, by making it more "factory". Well thanks to manualf150 I successfully connected the sub from my ‘05 f150 to my new 2015. Used forscan to enable the sub and a 7 speaker setting. Initially it sounded horrible. But after changing that 7 speaker setting, sounds much better. The 2005 audiophile system was way better than this. I also shut off the fake engine noise with forscan. No problem. Glad it worked out for you.